My brothers and I were discussing text messages a while ago and we agreed that although there are some instances in which it is important to talk on the phone, there are many advantages to the text message. The best part is that it is unobtrusive. People can get to their text messages when they have time and they can decide whether or not they wish to respond. It’s also good for those little quips that don’t really need a phone call. 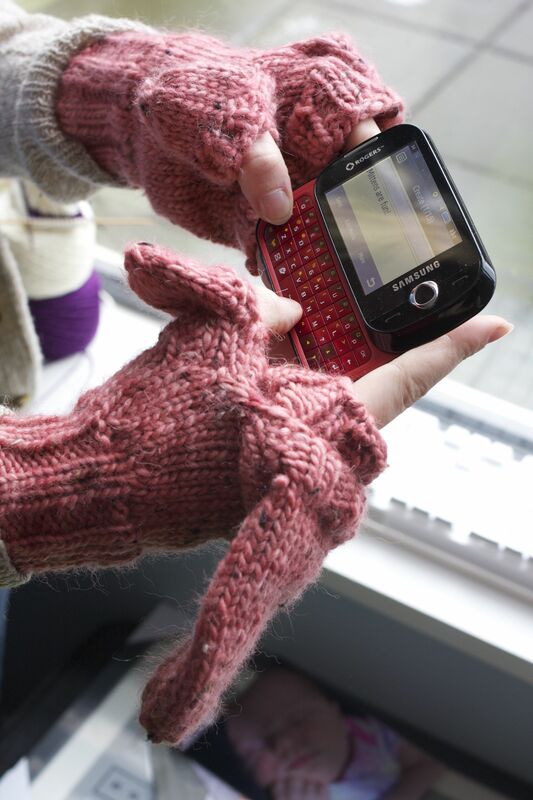 That being said, there really should be a mitten that allows you to conveniently keep in contact while keeping your hands toasty warm….. behold the Mobile Mittens! 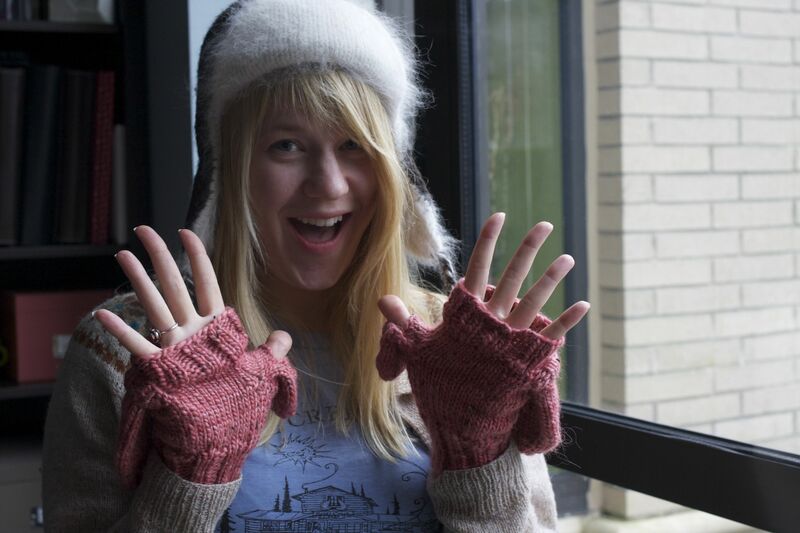 Kynna knit these mittens up in Auracania Azapa and they have a couple of great features. 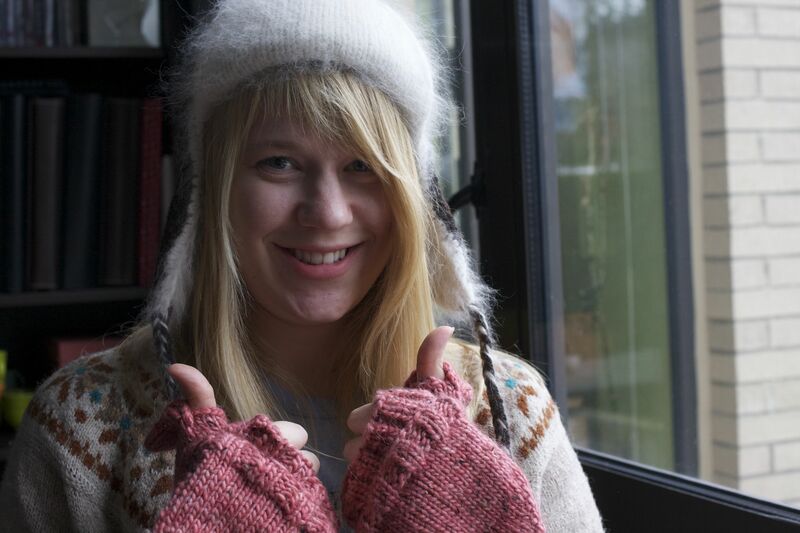 First, they are lovely! An esthetically pleasing mitten is a good thing. 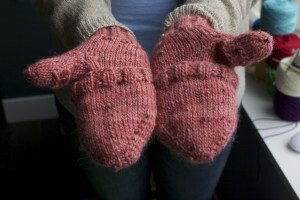 They are also flip top mittens so they are more versatile than your classic mitten. And what makes them Mobile you might ask? The separate flip top thumb. This is what enables you to text while your hands remain encased in wooly goodness. The pattern is free on Ravelry here and any worsted weight yarn will do! The sale yarns this week are 50% off Berooco Soft Twist and Berocco Zap, two fun yarns. Zap was $12.95 and is now $6.47. Soft Twist was $7.95 and is now $3.98. This entry was posted on Tuesday, March 22nd, 2011 at 11:12 am	and is filed under Uncategorized. You can follow any responses to this entry through the RSS 2.0 feed. Both comments and pings are currently closed.